Voters in San Luis Obispo County have rejected Measure G, which would have limited oil production to existing wells and banned fracking on county land. With all precincts counted, the unofficial tally is 56 percent against and 44 percent for the measure. It will likely be a few weeks before final results are tallied with all mail-in ballots. Charles Varni, co-founder of the Coalition to Protect San Luis Obispo County, says the Measure G initiative was spearheaded in response to a planned expansion of oil extraction in the Arroyo Grande Oil Field near Pismo Beach. The plan would add 481 wells to the field. At the heart of the issue, says Varni, is the future of the region’s clean water supply for drinking and agriculture. “We are fearful that with that much increase, large groundwater basins could be contaminated,” he says. According to Varni's group, which launched the Yes on G campaign, the expansion would significantly increase the amount of toxic oil field waste deposited into the ground. Varni adds that the amount of groundwater required for oil production — which Varni estimated at nearly 20 gallons per 1 gallon of oil — taxes the county’s already overdrafted basins. Representatives for the No on Measure G campaign did not respond to interview requests. While fracking for natural gas is not currently practiced in San Luis Obispo County, Measure G would also banned the use of hydraulic fracturing technology as a means to extract oil, not a current practice. 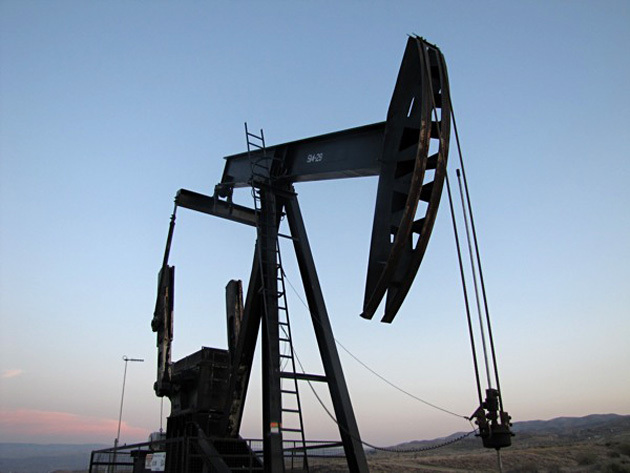 Even though Measure G would prevent the expansion of fossil fuel production in San Luis Obispo County, it would also allow all existing oil extraction operations to continue indefinitely. The measure has faced strong opposition from oil and gas interests. According to campaign finance records, opponents have raised nearly $8 million to fight it. Major oil companies Chevron and Aera Energy, which is co-owned by Shell and ExxonMobil, have made major contributions. Varni says his group has raised about $230,000 in support of the measure. San Luis Obispo County's 5th District Supervisor Debbie Arnold opposes the measure. Arnold says she hasn’t heard anyone propose bringing hydraulic fracturing or expanding oil operations into the county. Instead, Arnold says, as existing wells get played out, oil producers may need to drill new wells within existing fields to maintain similar levels of production. A fiscal impact report on the measure issued by the San Luis Obispo County auditor called the economic impact of the measure "difficult to predict." The report says there are less than 80 jobs in the county’s oil industry. In the past five years, six California counties — Monterey, San Benito, Santa Cruz, Mendocino, Alameda and Butte — have banned fracking. Adam Scow, the California Director of Food and Water Watch, says Measure G is part of the greater movement to move California from fossil fuels to clean energy. Scow says where Gov. Jerry Brown and state lawmakers have failed to curtail oil and gas activities in California, local communities are stepping up. That local voter initiatives have passed throughout the state gives Scow hope in the face of heavily funded opposition from the oil industry. “It shows that when people get organized and when they talk to their neighbors, when they call their neighbors, you can beat big oil,” he says. However, even if Measure G was to pass, it remains uncertain if the ban will be enforced. Monterey County banned fracking in 2016 when voters passed Measure Z by a narrow margin. The initiative was then challenged in court, which ruled that state and federal law pre-empted local regulation. That ruling is currently under appeal while the ban remains on hold. Deborah Sivas, a professor of environmental law at Stanford University who advised environmental groups for the case, says the outcome could have a major influence on the fate of oil drilling and fracking in San Luis Obispo County and the rest of the state. She says that while California is thought to be progressive when it comes to the environment, it uses a “pretty old” set of oil and gas codes. “Historically, going back 100 years, local jurisdictions have used their land-use authority to decide whether or not drilling and oil activity should go on, because it has obvious health and safety consequences for local communities." In the background of the debate over oil drilling and hydraulic fracturing in California is the federal government’s effort to loosen regulations on the oil and gas industry. Sivas says she’s interested to see how this plays out in California, considering the state’s mandate to achieve 100 percent clean energy by 2045.